Over the last few days I have fished Upper Red Lake and down in the Annandale area lakes. Upper Red Lake I was finding 10-12 inches of Ice. There will most likely be resorts letting out trucks and wheel houses by this next weekend with the cold snap this week. 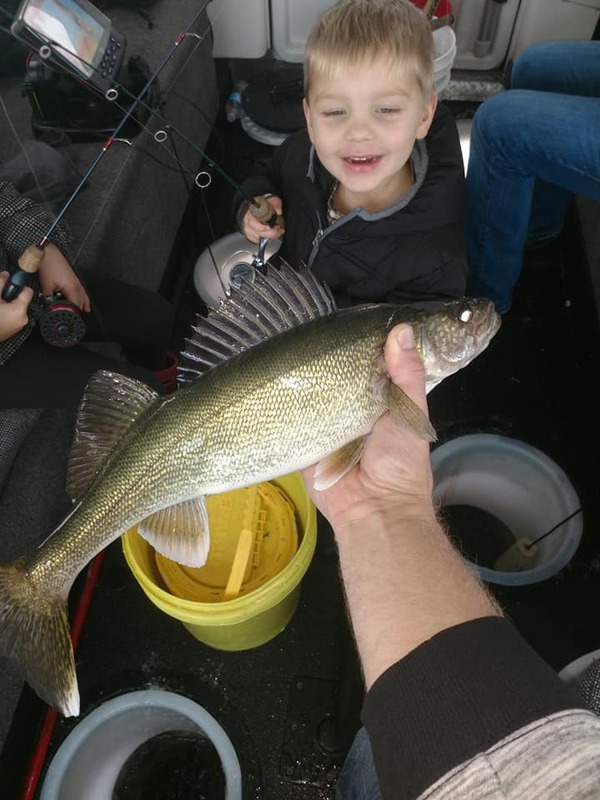 While on Upper Red Lake I was working with my 3 year old and 7 year old teaching them how to set the hook on walleyes. 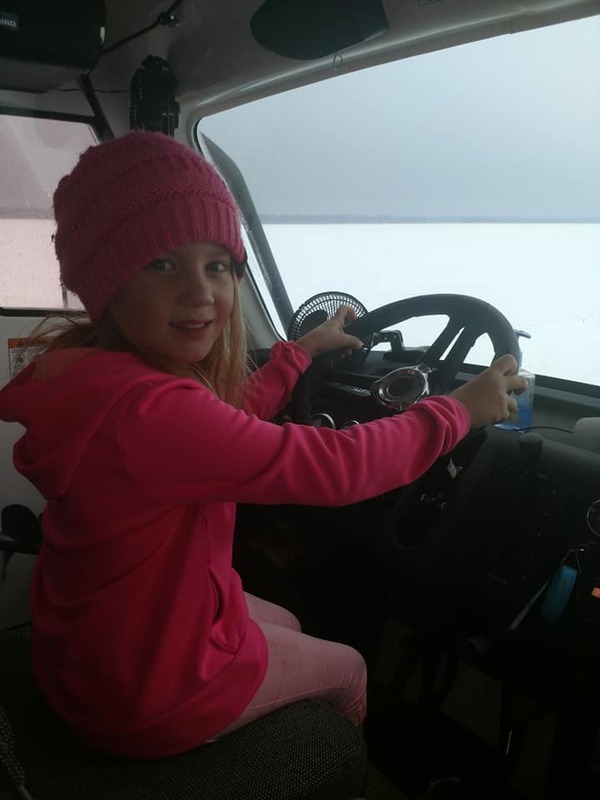 This was a quick trip to Upper Red Lake with the Sno Bear. We stayed in one of Cookies Cabin Rentals on Upper Red Lake. We caught 25+ Walleyes. I did not get out to my favorite way points as we had a pressure ridge that was holding us back. Most resorts are bridging over the pressure ridge. 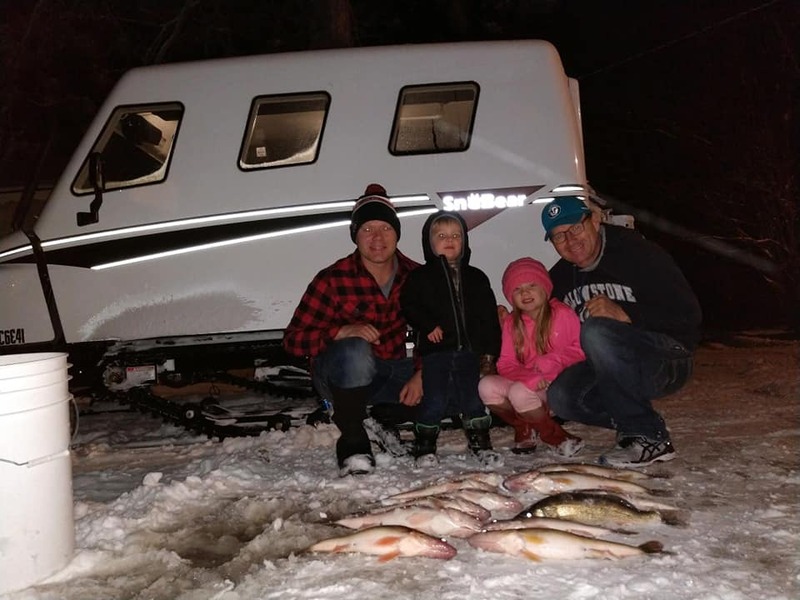 Most walleyes being caught on a white Lindy Rattl’n Flyer. 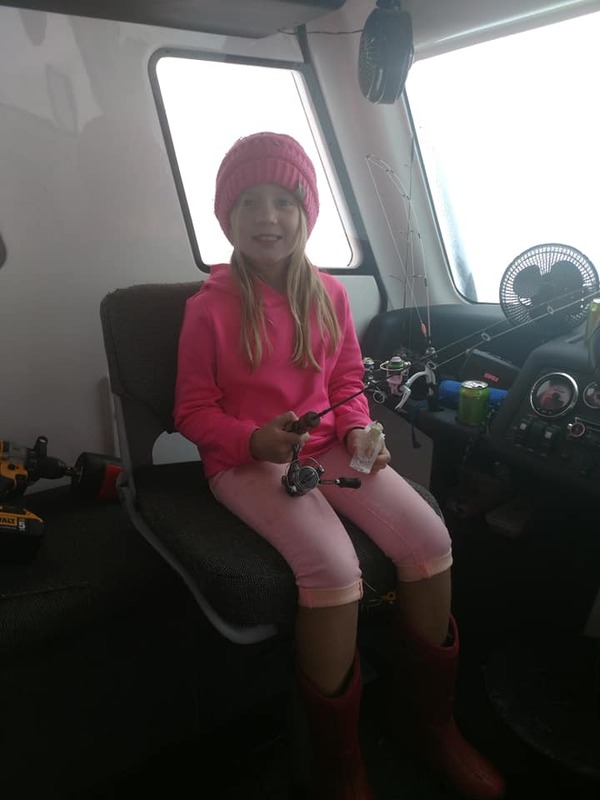 This trip was not so much about numbers of fish for me as it was about teaching the kids how to set the hook. I was plenty happy with 25+ walleyes. We fished in 6.5 – 7.5 Feet of Water. 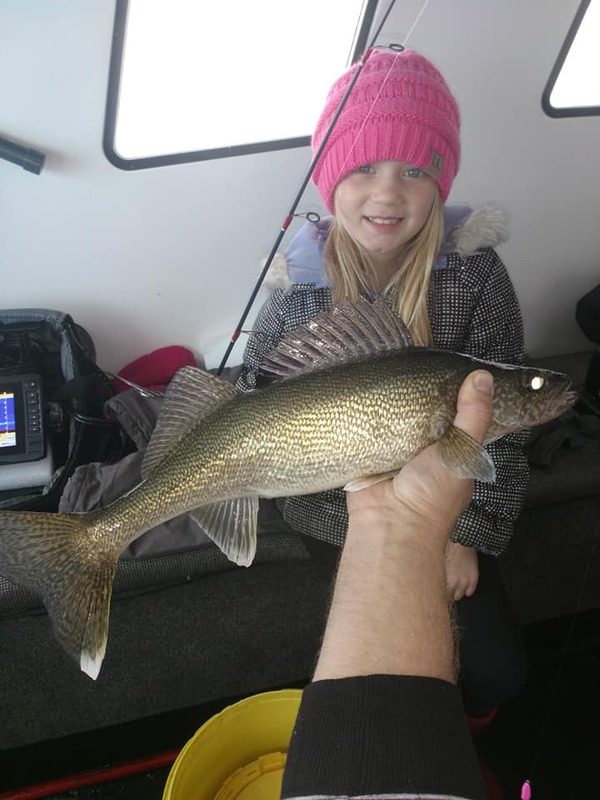 Fish Pictures below are walleyes from Upper Red Lake. I am running a special on Hook and Go ice house rentals for this weekend we are removing our 4 day Minimum down to a 3 day Minimum. Pick up your ice house Friday have it back by Monday morning. As far as the Ice report for down in the Annandale area Lakes are making ice this week! I am finding 4 to 8 inches of Ice and expect to see 8- 10 inches of ice on Friday on the lakes I have been checking ice on. We have our first guided Sno Bear Outing scheduled for Saturday. 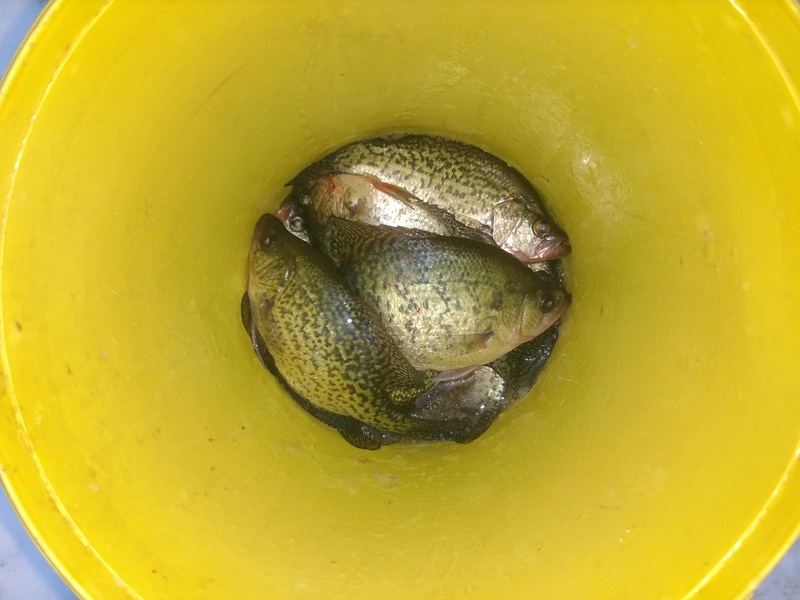 We will be fishing walleyes during low light hours and crappies and blue gills during day. I have the Guide shack available for rent for $100/24 hours starting Friday. It is booked on Saturday but open on Sunday. Vinny the fishing guide was out pre fishing on Sunday and caught 8 keeper crappies, and a few small mouth bass. He was fishing Mid Day. 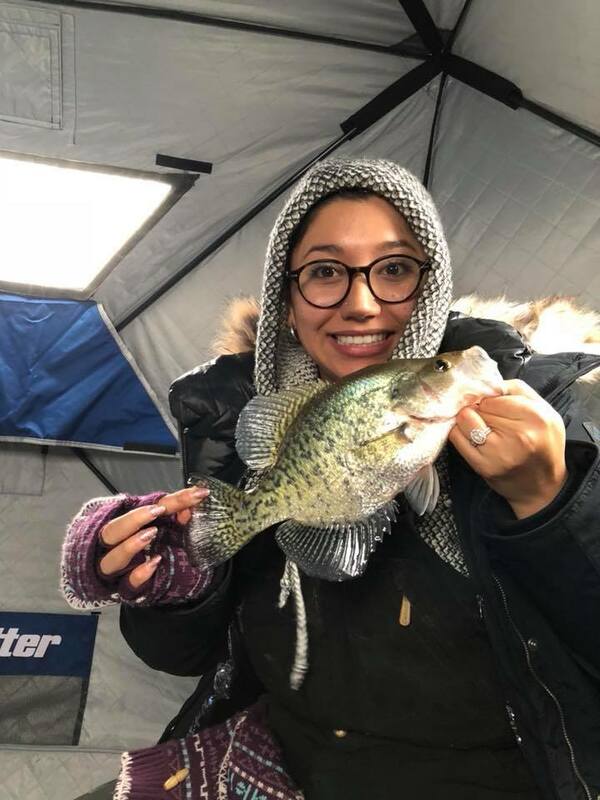 We have officially started the 2018 / 2019 Guided Fishing season!